My work explores the origins of iconic items from the inventors vision to the finished product. I have always viewed photography from a holistic perspective. This embraces composition, image capture, dark room development and printing – all elements that contribute to the final piece of art. From an early age I had a darkroom and loved what could be done with techniques like dodging and burning, blending etc. When post processing went digital, it opened up so many more possibilities for me. I started experimenting with blending multiple images together and from that created a series of fine art photographs. What began as a search for textures to blend into my Fine Art photographs, translated into a unique collection of prints that tell fascinating stories. I had photographed an old coffee mill and in the base of it was two patent dates. 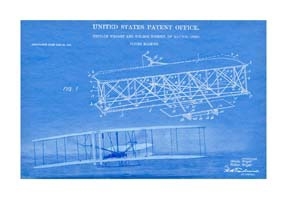 I looked for the patents to see how I could integrate some of the elements into my image. 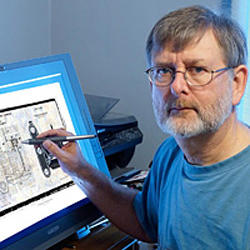 When I saw the legal language and the old drawings from the draftsmans pen juxtaposed with the photographic image of the actual invention, I caught a glimpse of how the inventors dream became a reality. 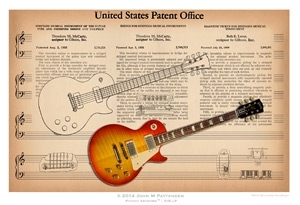 I was inspired to create the Patent Artwork series. From my earliest years I have always been fascinated by innovations and where things came from. Add this to an incurable appetite for trivia and history and you will understand why I get so much pleasure from researching the inventions for my prints. 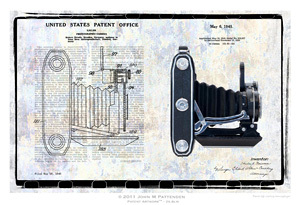 It is like a treasure hunt to find the patents and to track down the corresponding inventions to photograph them. I complete my collages by creating contextual backgrounds, blending different textures and elements together to form a setting that has a connection to the subject of the print. Recently I have been experimenting printing on different substrates that are contextual to the invention.